Sapa Rooms is a socially responsible business, working with local communities and employing staff trained by KOTO in Hanoi. It’s a small hotel, with just six rooms, and the rooms, like the food served in the cafe below, are just delicious. 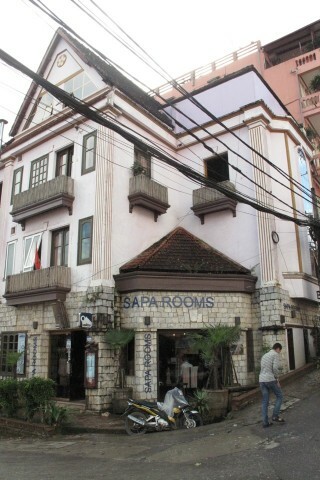 Full of character and alluring touches it’s about as close to boutique as you get in Sapa, Cha Pa Garden Hotel excepted. Rooms are well furnished and decorated with handcrafted original artworks. Deluxe rooms are on the small size, but the suites feature an additional single bed and seating. The downsides are that there is no view and the bathrooms are basic and a bit tatty around the edges, but if you’re in the mood for romance this is the place to be. A tasty breakfast is served in the restaurant below. Where are you planning on heading to after Sapa? Here are some spots commonly visited from here, or click here to see a full destination list for Vietnam.